VOTE NOW through March 24 for the final two contending titles! 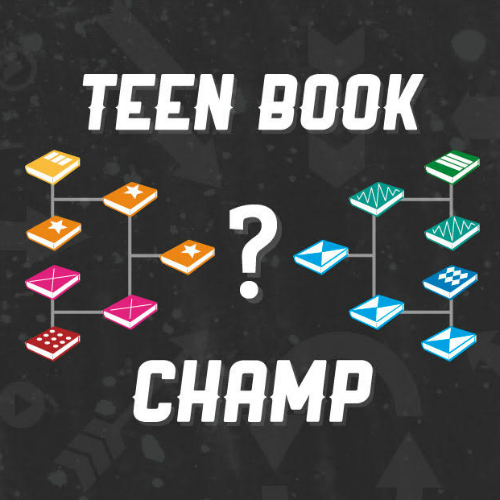 During the months of February and March, area young adults have eliminated 12 books to determine their top four favorite titles in the March Madness Teen Book Tournament. Below is the list of contenders remaining after the first two rounds of voting. If you are just joining us, here’s a recap of how you can participate for a chance to win and Amazon Fire tablet. Round 1: Voting complete for the Elite Eight. Round 2: Voting complete for the Final Four. Round 3: VOTE NOW through March 24 for the final two contending titles. Round 4: Vote March 26- April 4 for the book tournament champion. April 5: The champion is announced! Each round you vote, your name will be entered into a drawing for a chance to win an Amazon Fire tablet. March Madness is open to all teens ages 12-18 who live in either Boone or Callaway County, Missouri. Limit one ballot per person, per round.